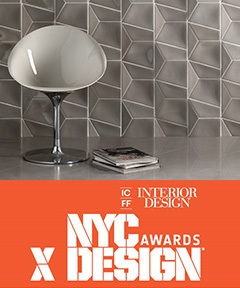 The Trilogy Collection, designed by Giovanni Barbieri, was named WINNER in the Wall Covering: Tile Category in the 2017 NYCxDesign awards with Interior Design Magazine. The program celebrates outstanding talent across major areas of design. View the Trilogy Collection.